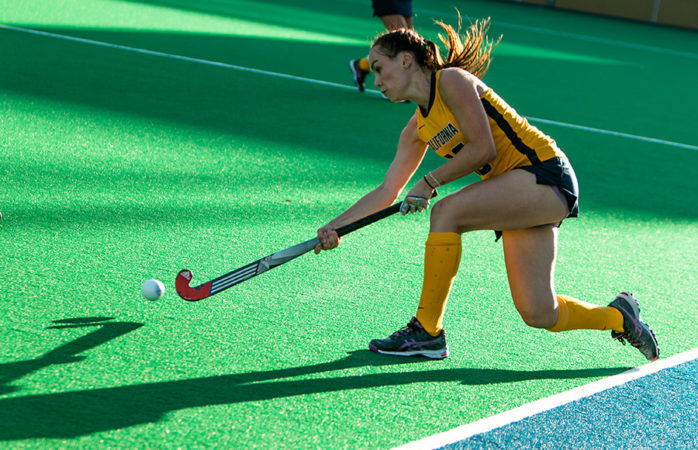 Homecoming weekend is here, and as alumni make their way in for the weekend festivities, the Cal field hockey team will also make a much-needed return to Underhill Field to face off against No. 21 Stanford. The Bears enter the game at 3-8, wrapping up nonconference play last weekend in their third and final road trip of the season. While they fell to No. 9 Syracuse and No. 12 Boston College to remain without a win against a ranked team, Cal has performed well against top squads and should enter the weekend with confidence. Stanford (8-4) enters the matchup fresh off its own road trip, a busy weekend during which it knocked off No. 7 Michigan and then was shut out by No. 8 Iowa to snap an eight-game win streak. The Cardinal are powered on offense by sophomore attacker Corinne Zanolli, who is tied for third in the nation with 16 goals and spearheads a top-10 offense that averages 3.42 goals per game. The rest of the offense is well-balanced, as five other players have scored three or more goals, and six players have recorded four or more assists. Defensively, Stanford is anchored by junior goalkeeper Kelsey Bing, a former All-American who is fifth in the country with a 79.7 save percentage and who has helped hold opposing offenses to just 11.9 percent shooting. Last season, Cal split the series with Stanford, earning a 4-2 win at home against a then-No. 14 Cardinal squad. 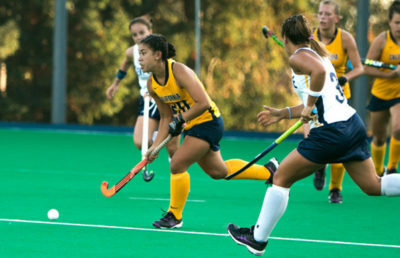 Forwards Melina Moore, Megan Rodgers and Janaye Sakkas each scored in last year’s victory, and the Bears will need a similar balanced performance from their front line to produce against the stout Cardinal defense. 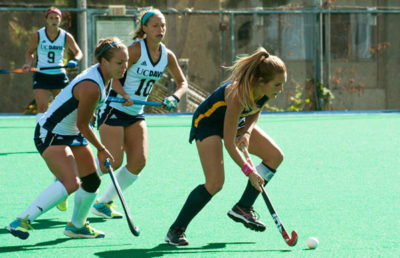 On Sunday, Cal continues conference action at UC Davis (6-8). The Aggies are led by a young core of midfielders, highlighted by freshman Eline van den Bosch, who leads the team with eight goals. Sophomore Nicola Prebble and freshman Milou Korthouwer have started every game and also rank in the top four on the team in minutes played. The start of conference play gives the Bears a chance to finish strong on what seems to be a very promising season. 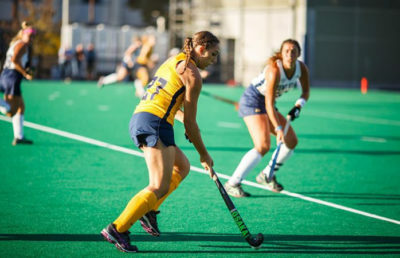 Cal came in with high hopes to win the conference and qualify for the NCAA Tournament, and while the chances of an NCAA berth are slim, the Bears still have the opportunity to impress in conference play. On the offensive end, Rodgers, who leads the squad with 10 goals, has received help in recent games from Moore, who scored twice in last weekend’s doubleheader. The Bears will need this multi-threat attack this weekend, as opposing defenses have largely focused their efforts on keeping Rodgers at bay. The goalkeeping situation for the Bears has remained murky, as both Danielle Mentink and Natalie Dalton have seen extensive minutes in recent games. It seems that head coach Shellie Onstead has been experimenting with both options in an attempt to find a permanent solution, but neither player has been consistent. In Cal’s heartbreaking overtime loss against Boston College last weekend, Mentink was pulled out after conceding two quick goals that cut Cal’s lead to 1, but Dalton surrendered two more that ultimately decided the game. Dalton received the start against Syracuse the next day and played the entire game, but she gave up four goals. Almost a month after their last home game, the Bears return to Underhill Field at an optimal time, looking for a fresh start and a strong finish to the season. Tim Sun covers field hockey. Contact him at [email protected].